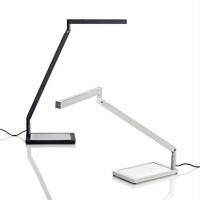 Giova marks the debut of Gae Aulenti in the eld of lighting design. 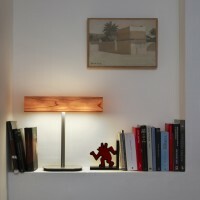 Available in two sizes, it is both a lamp and a luminous sculpture. 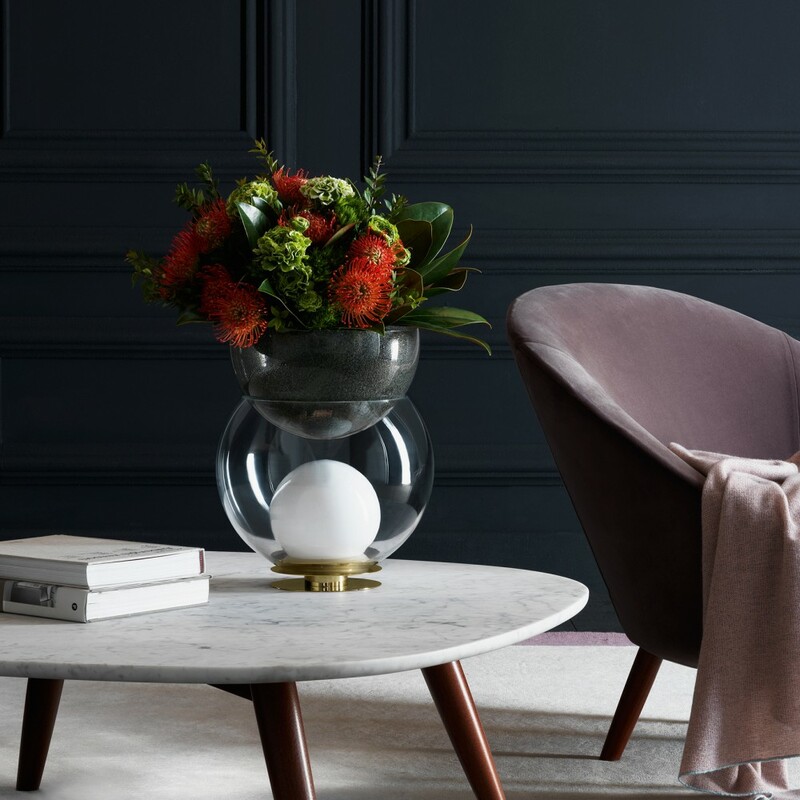 Positioned on a metal base is a transparent bowl containing a sphere of white opal glass, which in turn houses the light source. Placed above is a smaller bowl in blown pulegoso glass, meaning ‘with irregular bubbles’, which serves as a ower vase. Now also available with gray pulegoso glass and a gold- nished base. 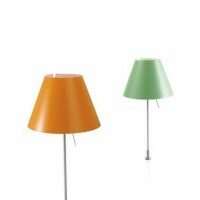 Table lamp/ ower pot. Gold metal base. Middle globe in transparent blown glass. 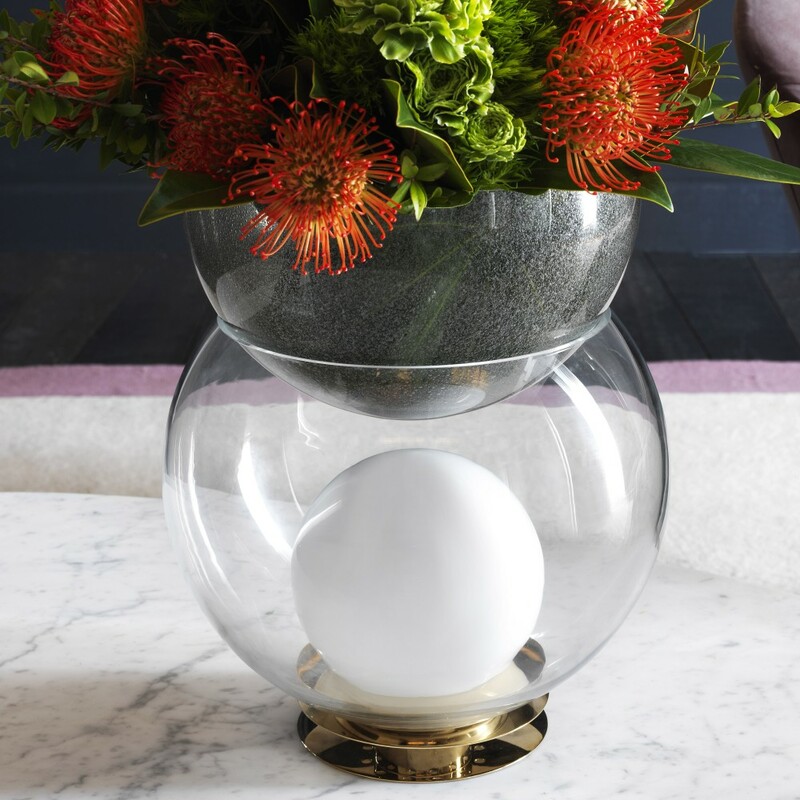 Inner globe in polished white opaline glass. Upper half-sphere in grey blown glass with decorative bubbles. Black power cable, plug and switch.